One of the most interesting (not to mention luxurious) condominiums in Washington, DC, is the Clara Barton. Located in the popular Penn Quarter neighborhood, the Clara Barton is part of a tandem adaptive reuse project and is connected to a sister building known as The Layfayette. The twin structures began as the historic Central Armature Building built in 1926. The historic portion now serves as a frontispiece, with the conjoined 12-story high-rises looming behind. First, this is a big complex—255 condo units at Clara Barton and 179 at the Lafayette. It’s also a very elite condominium, offering an incredible amount of amenities as well as a prime location in the heart of the nation’s capital. 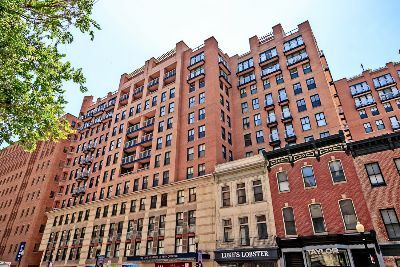 You can find the Clara Barton at 616 E Street NW with the Lafayette at 631 D Street NW—a superblock of upscale living surrounded by restaurants, shops, theaters, museums and government buildings. In fact, the United States Capitol Building and the White House are both within easy walking distance. Residences at the Clara Barton range in size from 540 to 1,740 square feet and come in over 50 different floor plans! There are one-bedroom, two-bedroom and three-bedroom layouts, with bi-level penthouses on the 11th and 12th floors. Many of these city residences have either Juliet balconies or terraces, and the penthouses have private roof decks. Condos for sale at the Clara Barton boast modern great room concepts with hardwood floors throughout the living and kitchen areas, oversized windows and open cooking spaces with granite counters, large cabinets and high-end appliances. And then there’s all the shared amenities, such as a 24/7 staffed front desk and concierge service, secure parking, a community club room, billiards lounge, a large fitness center, a theater, a business center with conference room, and a huge roof deck that is shared with the Lafayette, featuring lovely landscaping, lounges, gas grilles, an indoor kitchen, eating and drinking areas and a swimming pool. It’s a lush oasis with amazing epicenter views of Washington, DC. For more information about Clara Barton and the Lafayette, please call District Partners Real Estate, LLC, at 202-798-3600.